The perfect every day carries accessory. 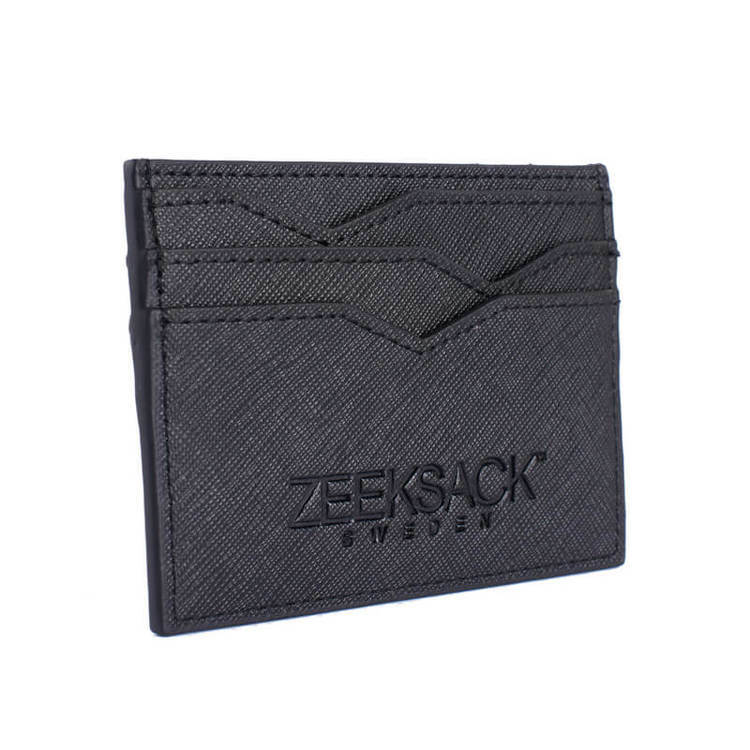 The Slim Wallet has six (6) card slots plus one (1) center pocket that fits up to four (4) bills. High-quality leather with luxury saffiano structure for that high-end look. 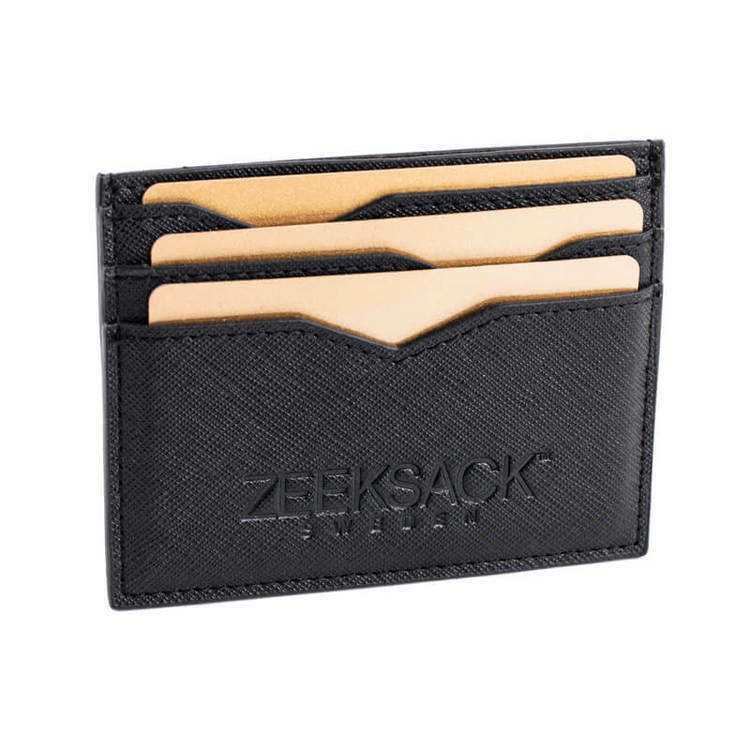 Custom designed ZEEKSACK™ V-pattern for easy access to credit cards. 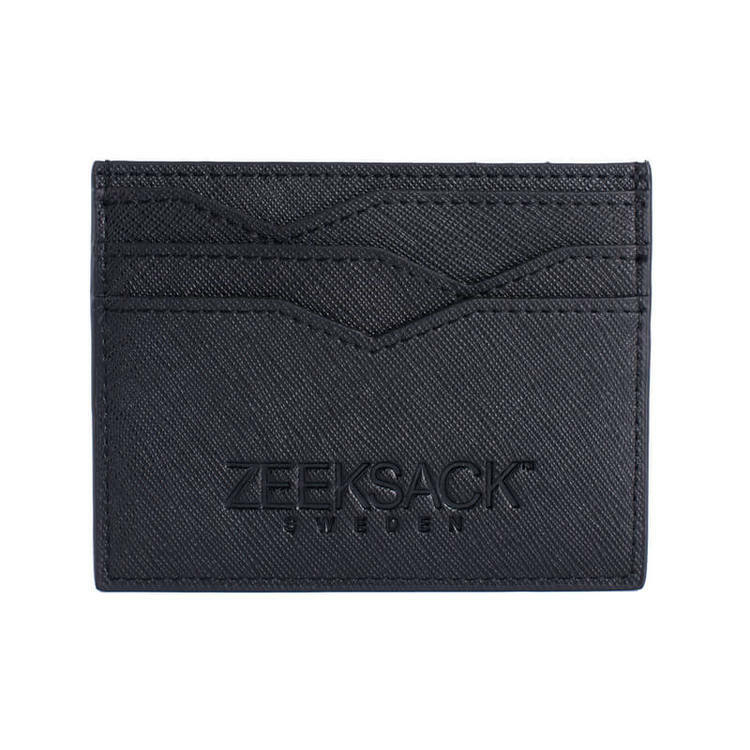 ZEESACK™ Sweden Logo debossed on both sides. Please note that leather is a natural material. This means can be perceived as tight in the beginning. 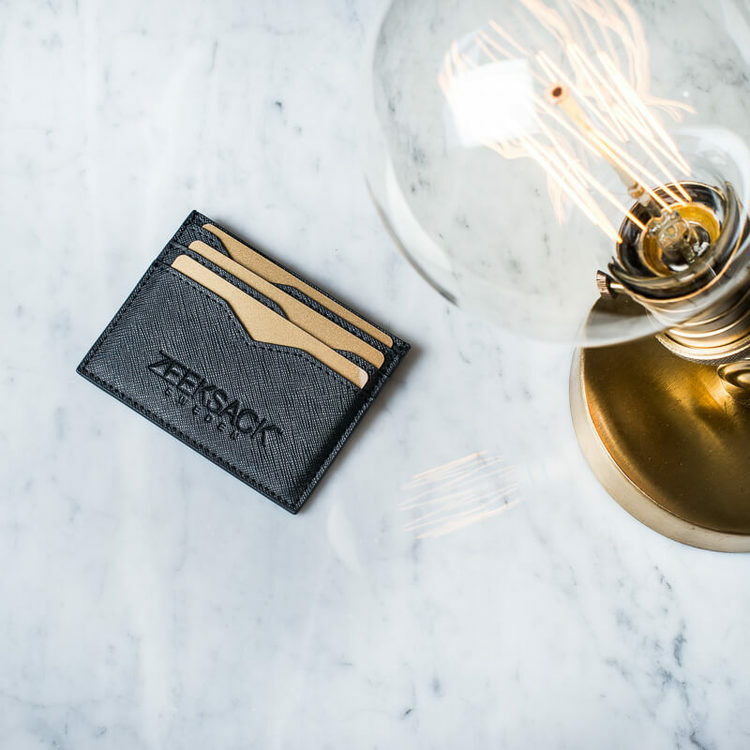 Be patient though, the leather stretches and forms after your cards and usage, without losing its stability and good looks. Cardslots: Fits 6 + 1.